Professor Carrigan is Professor of Marketing at the Centre for Business in Society (CBiS), Coventry University. Her research interests are consumer ethics, corporate social responsibility, social marketing, and the relationships between businesses and their key stakeholders. She pioneered work on the implications of attitude-behaviour gaps for ethical consumption, and her current research includes studying CSR and small firms, conducting research in the context of the jewellery industry, luxury fashion and the food sector. 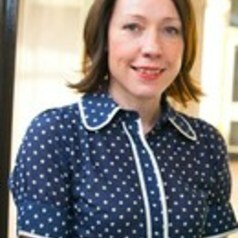 Her work has been supported by grants from the ESRC including three ESRC Festival of Social Science public engagement events: 'Responsibility in Fine Jewellery Consumption' (November 2015); ‘Acting Local, Thinking Global’ (2012) and ‘How Social Marketing Changes Public Behaviour’ (2010), and she was co-investigator of a British Academy funded project investigating work/life balance among women entrepreneurs. Professor Carrigan has published over 100 journal articles and conference papers in peer-reviewed publications, including Journal of Business Ethics, Psychology and Marketing and the European Journal of Marketing. She is a member of the Standards Committee for the Responsible Jewellery Council, and serves on the Editorial Advisory Boards for The International Marketing Review, Journal of Marketing Management, Journal of Social Marketing, and the Journal of Marketing Communications.